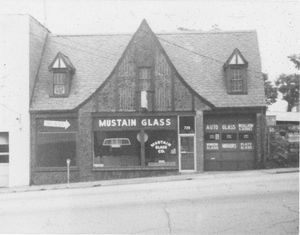 In February 1954, Mustain Glass Company was established by the late Hidy and Ott Mustain. Mustain Glass resided on Loyal Street in downtown Danville, Virginia. Mustain Glass offered an array of services ranging from residential to commercial to automotive. This company provided the humble beginnings for what is known today as Piedmont Glass. Upon Hidy Mustain's retirement, the business was bought by new owners, the name was changed to Piedmont Glass and the company moved to its present location. The current owners purchased the business in 1990. Today, Piedmont Glass continues to serve patrons from 124 Mall Drive.